The 2 CD-ROMs included contain 70,363 cartoons and are still sealed in their packaging. 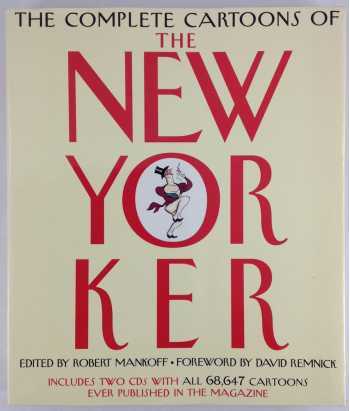 Organized by decade, with commentary by some of the magazine's finest writers, this landmark collection showcases the work of the hundreds of talented artists who have contributed cartoons over the course of The New Yorker's eight-two-year history. 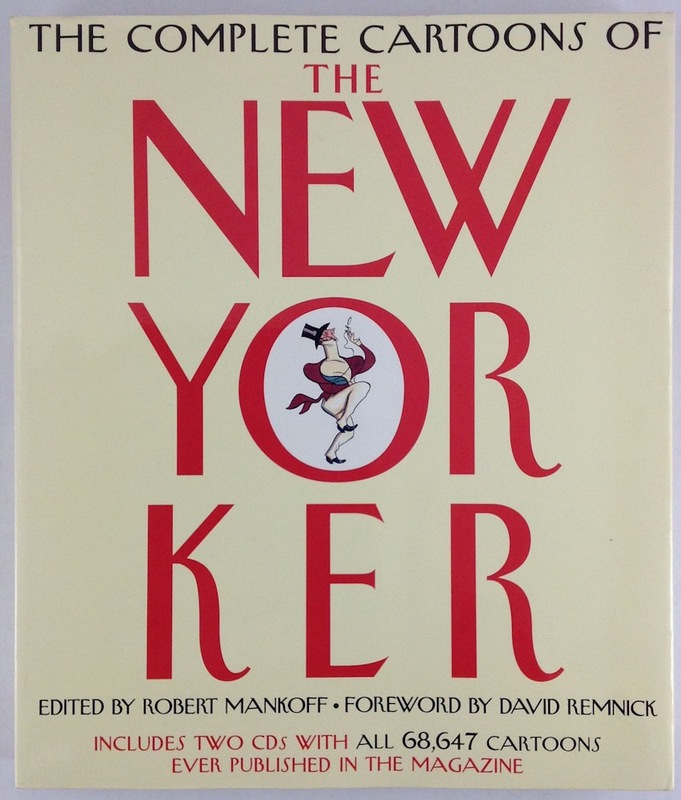 From the early cartoons of Peter Arno, George Price and Charles Addams to the cutting-edge work of Alex Gregory, Matthew Diffee and Bruce Eric Kaplan (with stops along the way for the genius of Charles Barsotti, Roz Chast, Jack Ziegler, George Booth, and many others), the art collected here forms, as David Remnick puts it in his foreword, "the longest-running popular comic genre in American life." Brief profiles and mini-portfolios spotlight the work of key cartoonists, including Arno, Chast, Ziegler, and others. The CD-ROMs included with the book are what really make the "Complete Cartoons" complete. Compatible with most home computers and easily browsable, the disks contain a mind-boggling 70,363 cartoons, indexed in a variety of ways. Perhaps you'd like to find all the cartoons by your favorite artist. Or maybe you'd like to look up the cartoons that ran the week you were born, or all of the cartoons on a particular subject. Of course, you can always begin at the beginning, February 21, 1925, and experience the unprecedented pleasure of reading through every single cartoon ever published in The New Yorker.